Lately I'm enjoying wearing so many different styles so I decided to create some really different coords! This is perfect for every classy girl who likes wearing luxury brands or similar ones and feel elegant without looking too boring or "too much". 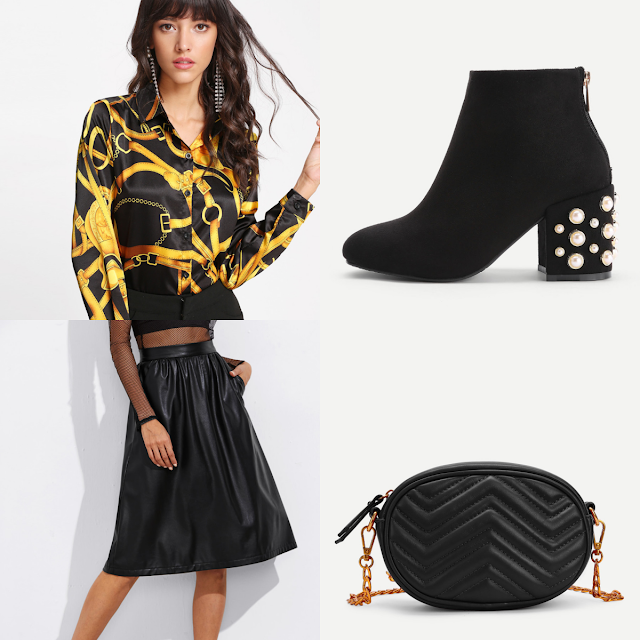 The blouse totally reminds me Versace and I'm always a big fan of gold and huge prints over all black items. 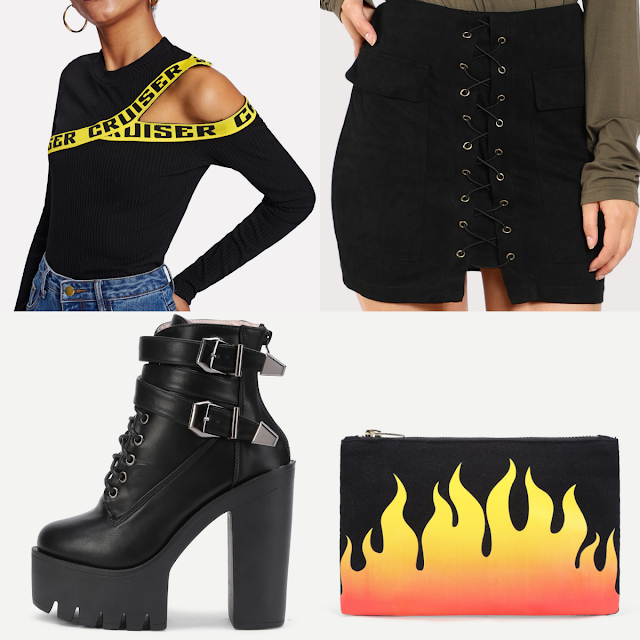 I added a fake leather midi skirt, this coord can't be me without an edgy accent like this one :D and to mantain the classy vibe I added this cute pair of velvet boots with pearls applications (I'm totally into this trend!) and this lovely fake leather bag, the coolest thing is that you can wear it as a crossbody bag or as a waist bag! The last one is also something I would wear for sure (and I did coords like this so many times in my life!). I already have a similar top in my closet and I love it so much, it fits many different looks and looks bomb over high waisted skirts like this one, look how gorgeous is this PU skirt with the lace up on the side! To mantain the lace up details I also paired this pair of boots, the bag is really cute and I love the silver applications, I should get it one day! I hope you like these cheap outfit ideas :D let me know which one is your favorite! Oh my gosh I am in love with the goth girl outfit! Especially that lace crop top!